The goal for this project was to renovate a venerable Midtown Memphis landmark into a new and exciting retail shopping experience for upscale fine wines and spirits. The existing structure is a single story commercial building of modest materials and simple form. The building was originally built as a Piggly Wiggly grocery store, which is significant to Memphis history. 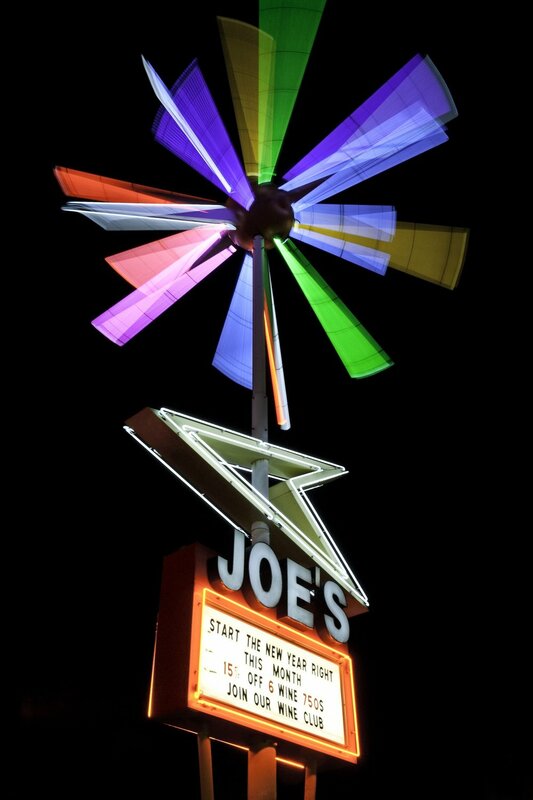 The Liquor business began in the front half of the structure in the mid 1960’s and is characterized by an iconic rotating neon-spiked star, “sputnik”, which is now protected as a landmark by the surrounding historic district. The opportunity to expand into the remainder of the building doubled the size of the retail sales area and prompted a complete interior makeover. The new space was reorganized to showcase the merchandise and to enhance customer convenience. The register cage is elevated for maximum view of the retail floor area. The interior renovation capitalizes on the popularity of the mid century character of the “sputnik” sign. 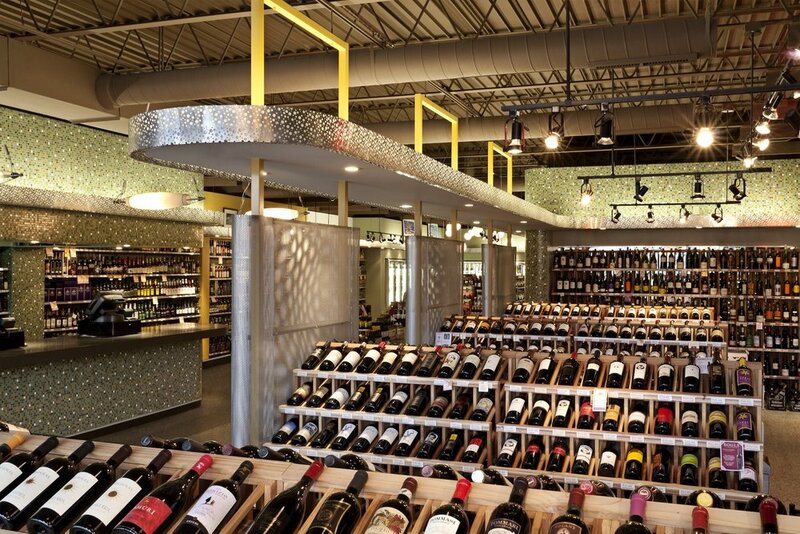 Mosaic tile “boxes”, a unifying ribbon of cove lighting, and perforated metal panels serve to define the spaces, attract customers through the store, and create the theme associated with the iconic sign. The color palette for the tile and paint scheme was derived from existing colors in the original terrazzo flooring. The newly exposed existing roof deck was exposed and painted dark to minimize its appearance. Illumination of the product shelves is achieved with adjustable track lighting.